To explore the Amazon in maximum comfort, with minimal environmental impact, this remote cabin style accommodation is perfect. Simple but comfortable jungle accommodation built on stilts, where the lack of TV or WiFi allows you to totally disconnect from the outside world and focus on the treasures the Amazon has to offer. Our choice for soft adventurers who want to make the most of the time they have. This charming lodge, complete with its own beach, is conveniently located and easy to reach from the city of Manaus yet provides an excellent range of excursions into the jungle. The Amazon rainforest stretches across nine South American countries, but Brazil keeps the lion’s share and has good opportunities for spotting wildlife. Amazonas is Brazil’s largest state and is mostly covered by jungle, however, its capital Manaus is a forward-thinking and modern City, in stark contrast to its wild surroundings. 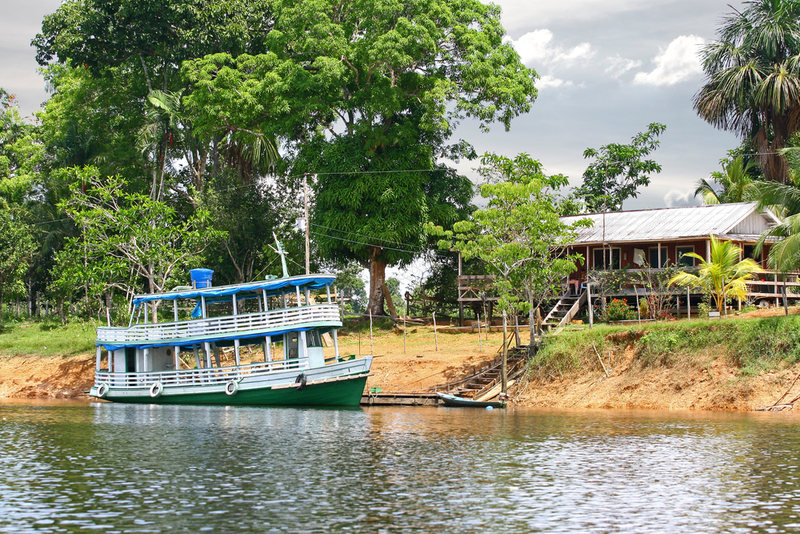 The best way to experience the Amazon rainforest is to either visit a lodge and take day trips to explore, or to splash out on a cruise to cover a few locations over a short time. Whichever way you choose to experience it, you can be guaranteed it will be an unforgettable and truly eye-opening holiday unlike any other. Manaus is situated in the centre of the Amazon Rainforest and is the capital of the Amazonas territory. Whilst the city itself is hot and humid, and fairly busy too, with a population of over 1.6 million, it’s not a bad place to spend a day en route to your lodge or cruise. One big attraction here is the ‘Meeting of the Waters’ where two different coloured rivers meet and make the Amazon of what we know it today. 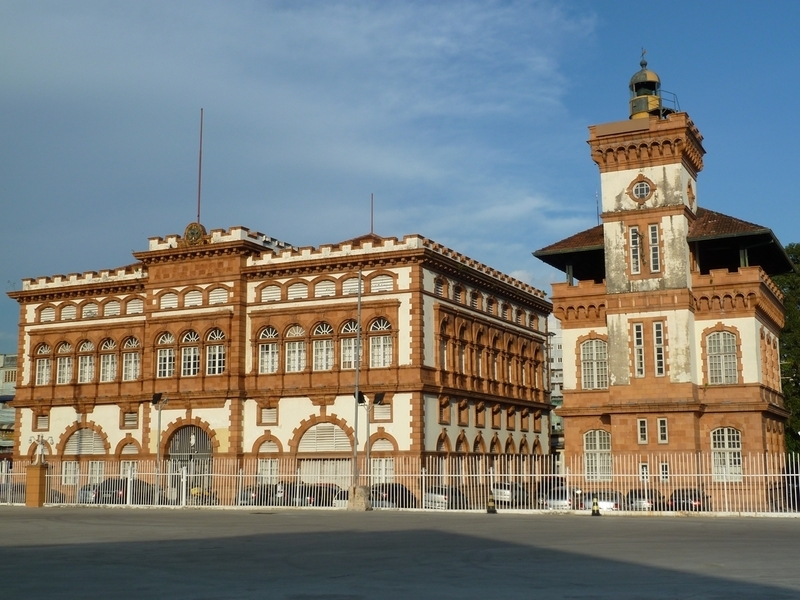 There are many other ‘city’ things to explore in Manaus such as Mercado Municipal, a market based on Paris’s Les Halles. Don’t miss the National Science Museum, which has an intriguing display of local plant, bird and animal life. 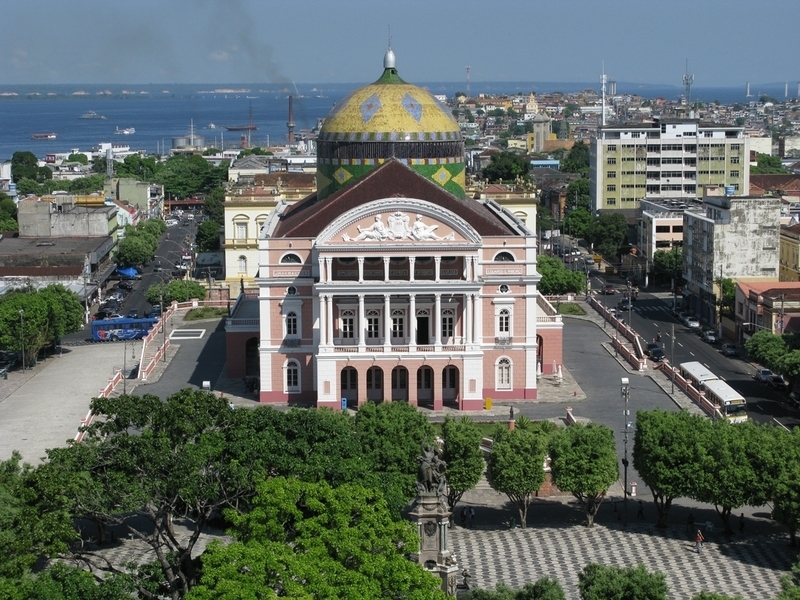 You probably wouldn’t expect to see an Opera in the middle of the jungle, but Manaus delivers a great little opera house with shows and tours of the building. You’ll find a variety of waterfalls only a 3-hour ride from Manaus, Land of Waterfalls or ‘Terra de Cachoeiras’ is perfect for a relaxing day trip away from the hustle and bustle of the capital. Two of the falls stand out to travellers; Sanctuary and Iracema. Sanctuary is something out of a movie with its green scenic surroundings whilst Iracema offers a little bit more adventure, with decent sized swimming holes peppered throughout. Wildlife, Wildlife and More Wildlife! If you love wildlife, the Amazon is definitely the right place to be. It’s teeming with exotic and strange creatures and it has been estimated that only 30% of the animals living there have been identified, meaning the possibility of other species being discovered is very high. Spot (or swim with) pink river dolphins, gaze at tree-hanging three-toe sloths and marvel at brightly coloured tree frogs. 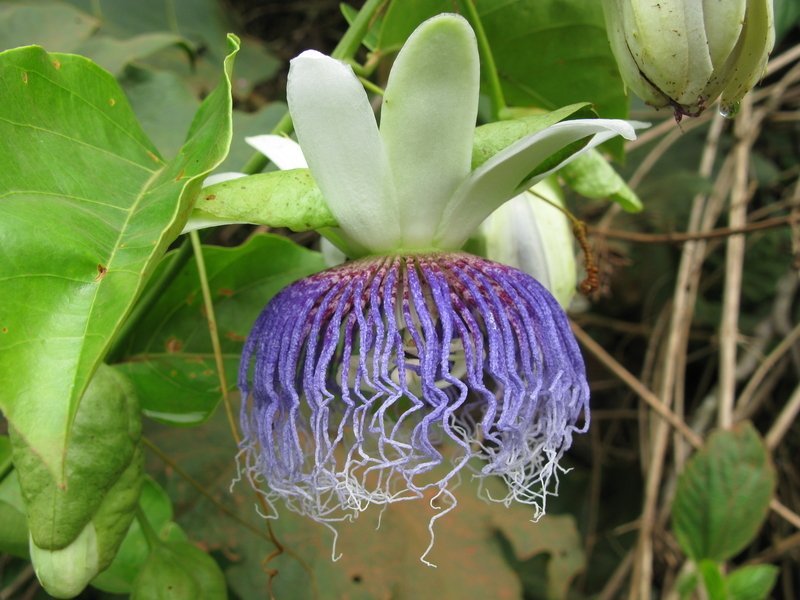 Take a jungle trek with an experienced local guide and find out how they spot these elusive creatures, while they teach you more about the delicate natural balance which exists here. Fancy an early wakeup call? You can count on the howler monkeys to be your alarm clock, and if you head out at night, look closely and there may be one or two shining eyes looking at you. Caimans are known for keeping one or two eyes open whilst they ‘sleep’. 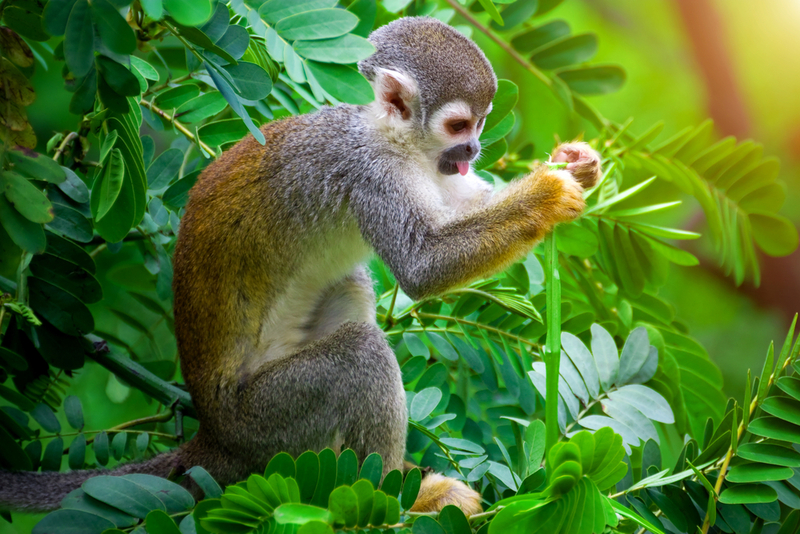 Take a cruise down the Amazon River and witness not just amazing wildlife to your side and above, but some intriguing plant life too. The giant kapok tree, creeping aroids, Brazil nut tree and around 80,000 other plant species vie for your attention in the Brazilian Amazon. So much so, that it’s difficult to find two plants of the same species within a few minutes’ cruise. 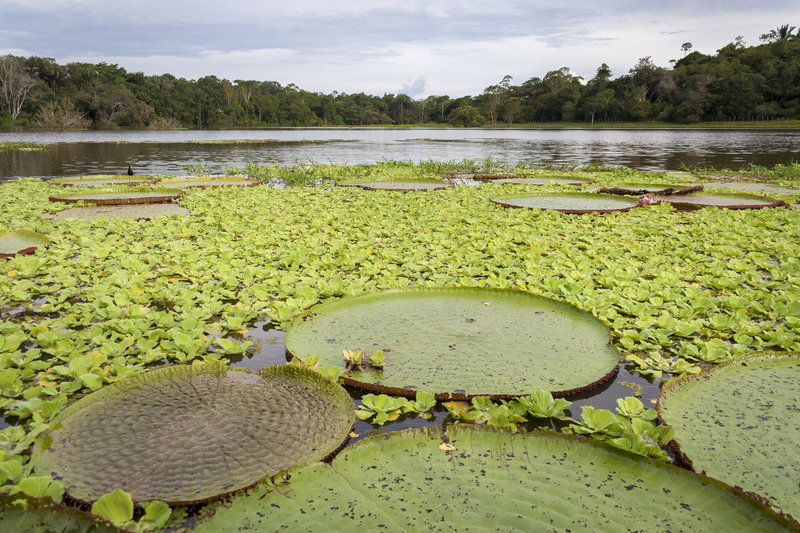 On dry land, you can feel like Indiana Jones on a jungle walk, become Alice in Wonderland sitting on giant water lilies and relive that scene from Alien as you spot epiphytes – an indigenous parasite species which has evolved to live solely off other plants. Made up of 400 islands and surrounded by dark waters, the Anavilhanas archipelago is a sight to behold. It’s a wonderful location for bird watching with Parrots and Hummingbirds and numerous Antbirds on show too. A great way to explore is by boat as you drift through the lines of each stripe of land, spotting otters playing in the waters and pumas and other predators lurking by the water’s edge. You are of course in the rainforest, which means that most of the year it is hot and damp. Downpours are frequent and heavy so it’s a good idea to carry a change of clothes for those unexpected showers! Biting insects can be common in some areas so wear long sleeves and a good quality insect repellent containing DEET. Drink plenty of water as it's hot and humid most of the time. Follow the advice of your guide at all times, especially concerning wildlife. Never tempt animals with food. 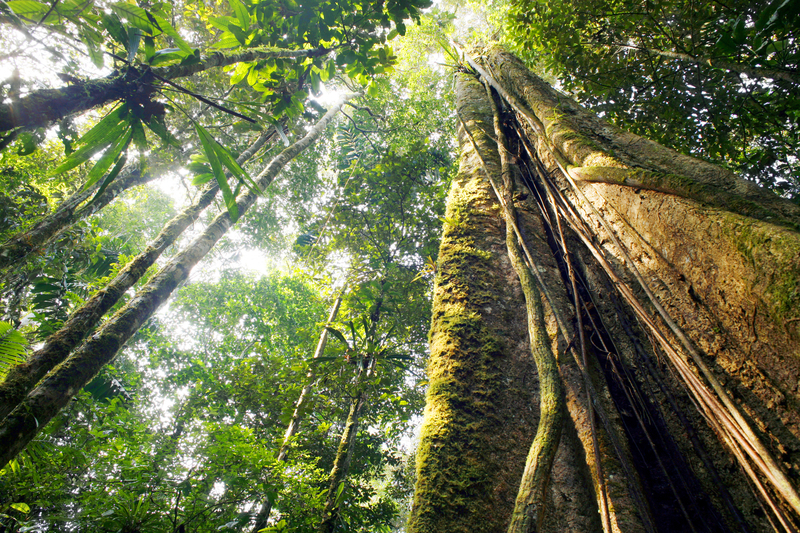 This huge rainforest is home to some of the world's most diverse eco-systems. 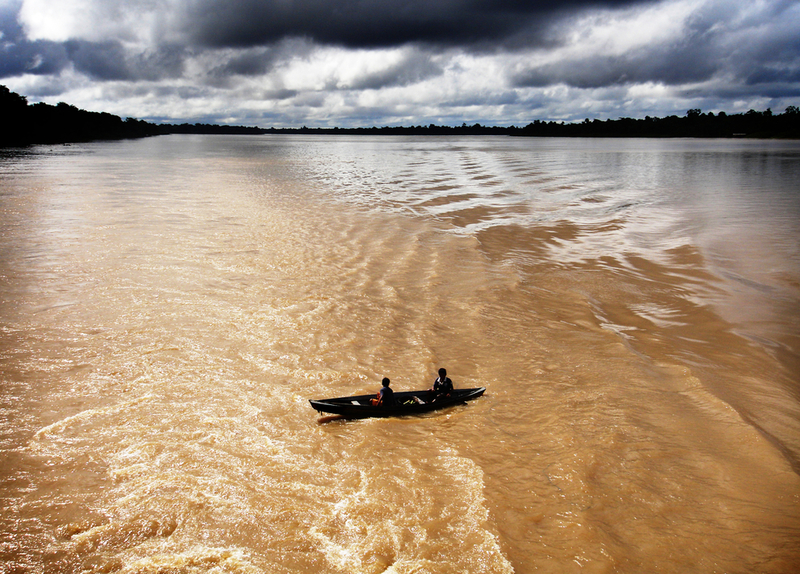 The Amazon is a huge area of rainforest and waterways that cover six of Brazil’s states stretching from its mouth at the Atlantic Ocean, all the way to the Peruvian, Colombian and Bolivian borders. 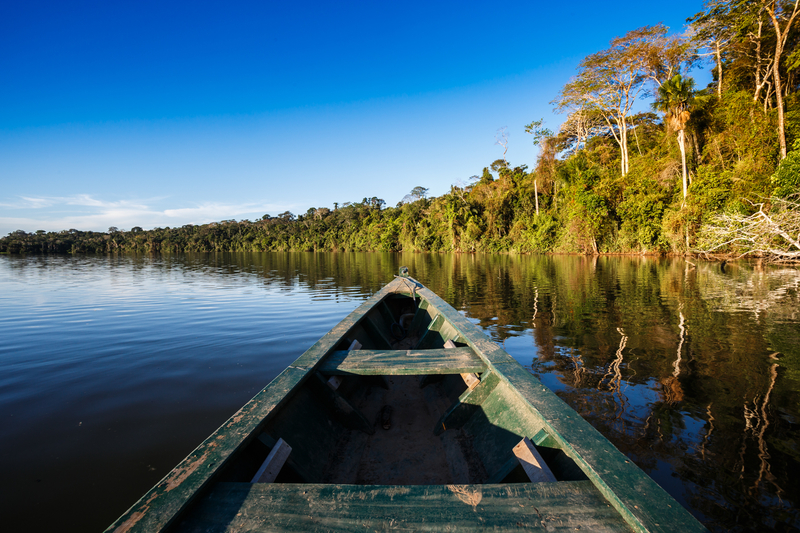 A cruise along the length of the Amazon is the stuff adventures are made of and you can access some of the deepest parts of the rainforest this way. If this appeals then we work with a number of excellent operators and can find a suitable cruise for you. Another one of our favourite ways to experience the Amazon is by staying at one of the many eco lodges located along the river. They range from the simple and rustic to the luxury and stylish, but each one comes equipped with all the essentials for exploring. 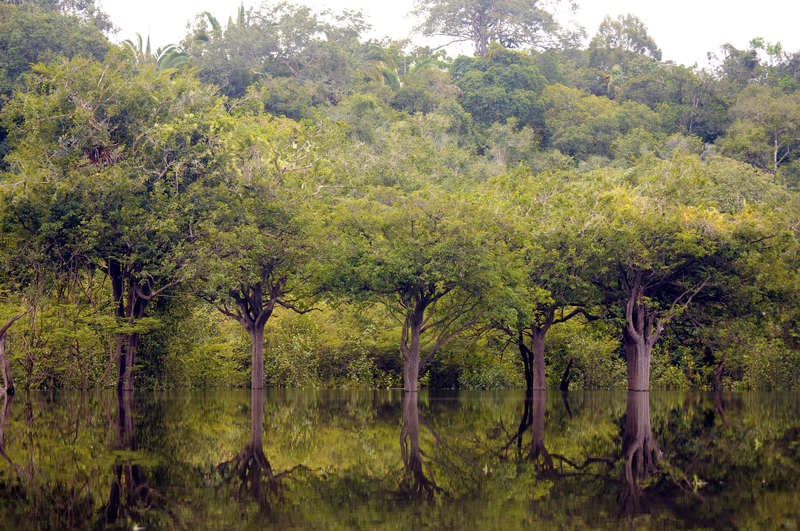 If you think you will only visit the country once, make the Amazon an essential part of your holiday to Brazil. 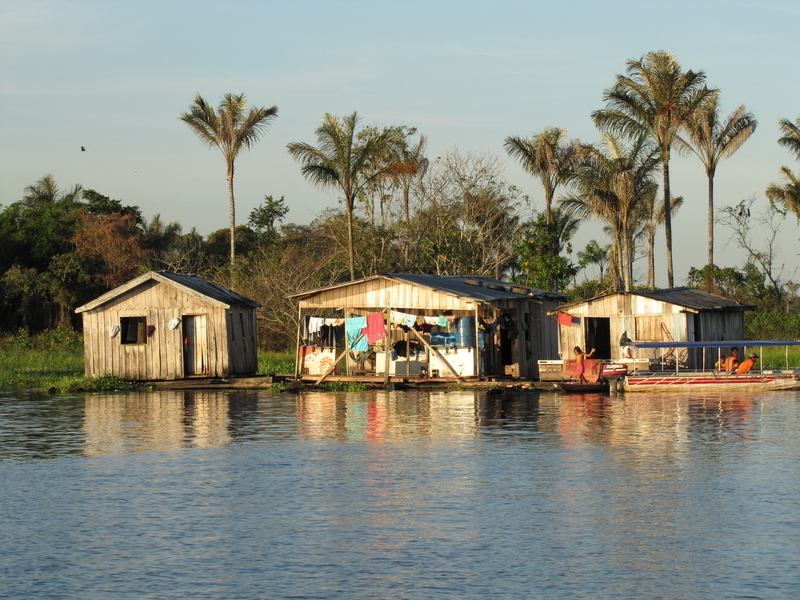 The main gateway to the Amazon is the bustling city of Manaus. You can use the city as a base and take a number of tours into the rainforest from here. However we recommend either joining an Amazon River Cruise or staying at one of the lodges in the heart of the canopy. The journey maybe a little longer but the rewards are well worth it. The Amazon has two seasons, a dry season from July to November with temperatures ranging from 26C - 40°C and a wet season from December to June with temperatures ranging from 23°C - 30°C. Are you In need of more holiday inspiration? Check out some of our Brazil itinerary ideas. A luxurious option whilst still being surrounded by nature.